Hi, does this comes with chips? Hi, does this comes with hello kitty chips? what is singapore/malayian tiles. American has 152 tiles which is 155 plus 8 jokers tiles. Also how much in USD and also shipping. 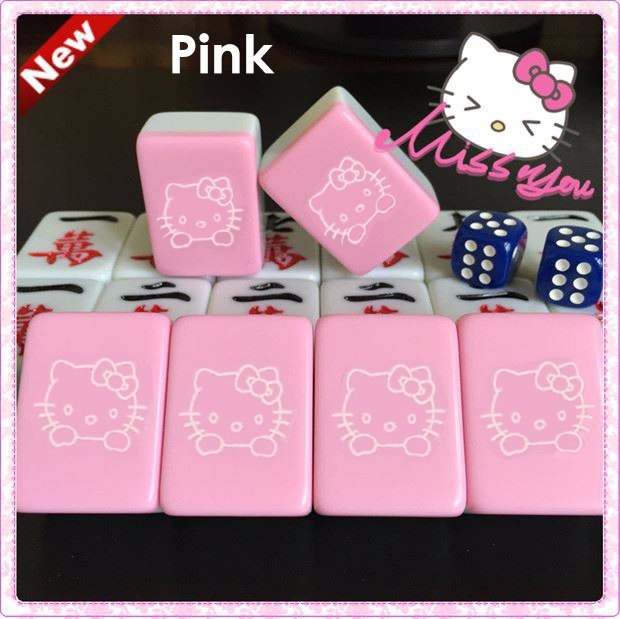 can visit your shop for viewing the hello kitty mahjong tile and do you have rummy mahjong tile too? 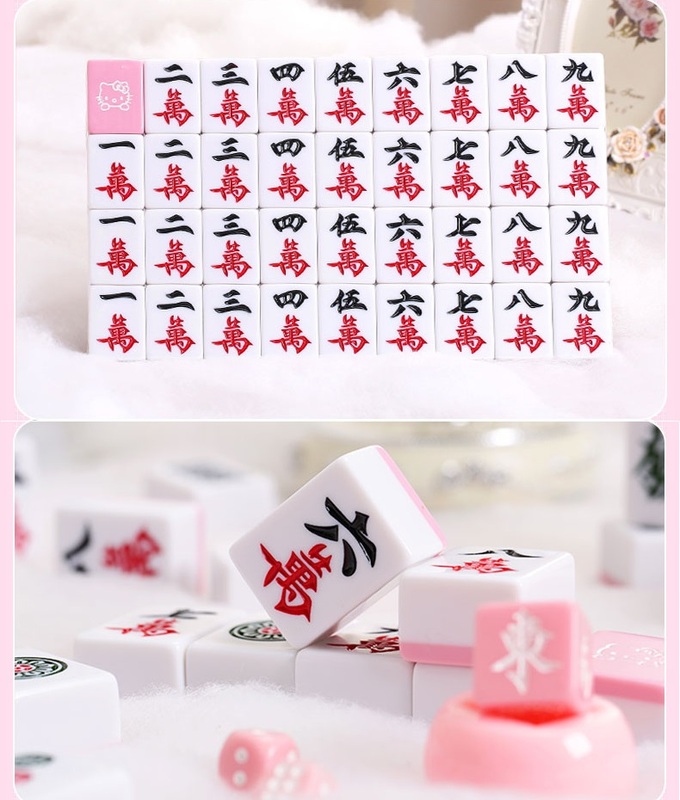 Do u have a set that can be use with your automatic mahjong table? Do you have Winnie The Pooh design? Can I cash and carry? Are those 8 flowers included ? May I know the size of the Hello Kitty tiles? Hi...do u have winnie de phoon or mickey mousr design? Hi...is de hello kitty majong still available? Is there a delivery charge? Can i order thru phone? is this suitable for auto shuffle mahjong table? Hi! Can I self collect on 2nd Feb? 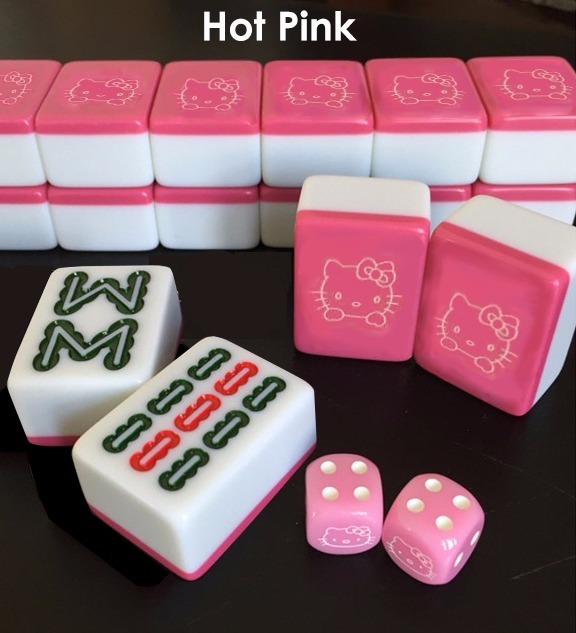 Pls advise this $25.42 is for which colour hello kitty mahjong set? Just received today. Not as good as picture. Box has a lot of black spots. Seem to be sitting in warehouse for a long time. Not to my expectation. I would advise anyone to go to physical site to take a look. How much USD and send to USA. How many pieces, does it have jokers? Want a American set. Hi does this come with mahjong chips? Is this set still available? Any free delivery?